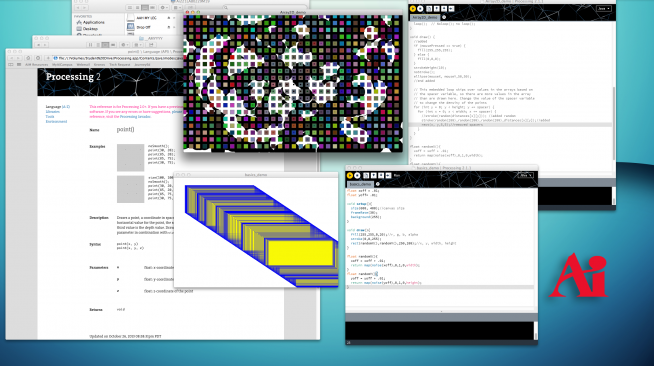 At Ai-MN, the Special Topics in Interactive Media curriculum covers Processing, an Open Source programing language that makes it easy for designers and artists to build visual and interactive applications. Ai-MN students plan to develop a piece for Northern Spark using this platform. Engage with interactive imagery developed in Processing by students in Ai-MN’s Interactive Media program. Sensors, cameras and touchscreens will track and transform the movements of passers-by as seen the windows of the gallery.